Spruce up your entrance | A.B.E. Remodeling, INC.
hello Folks, Yes, we are just a few weeks from Christmas 2014. By now your shopping is most likely started, maybe some packages have already been wrapped, your baking plans are in place with decorations going up... yes, busy, busy, busy are we..attempting to get all the tasks done in preparation for another beautiful Christmas. Perhaps you want to pause for a moment and think about upcoming projects to brighten up your home. Perhaps it needs some window replacements, perhaps just updating on various rooms. 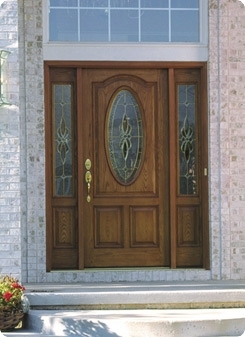 maybe some new painting, or maybe you want to plan into your budget a new entrance way....there's so many choices of beautiful doors. You just may find something of your liking. Give a call to us and we would be pleased to help guide you with your plans. Now, that's about it for today. It's Friday and we all look forward to "time" off so we hope you all have a safe and pleasant weekend. And as we hustle and bustle to the parking lots and stores.......Remember it's not so much what is under the Christmas tree that counts- it's the true gift of loved ones and family gathered in love, having a wonderful and making memories to last a lifetime. Enjoy the weekend.